If you are having trouble selling your horse then let Oldencraig Equestrian Centre explain why it would be worth considering sending your horse to us to sell for you. We have over 30 years expertise in selling and sales preparation. We advertise in all the national and local magazines and the horses are also advertised on the British Dressage, Oldencraig Equestrian Centre and the Horse Quest websites. We will also this year be advertising horses on the Horse and Country TV Channel. This means that your horse will be viewed by people all over the country and also abroad via the websites. Considering the expansive media coverage we offer it will only cost the owner a one off payment of £250. We will advertise your horse elsewhere should you wish but this will not be covered in the one off payment and will be an additional cost. The owner will not need to worry about showing the horse to prospective clients at Oldencraig Equestrian Centre. We deal with that for you and the horse will be turned out as though it is going to a show. 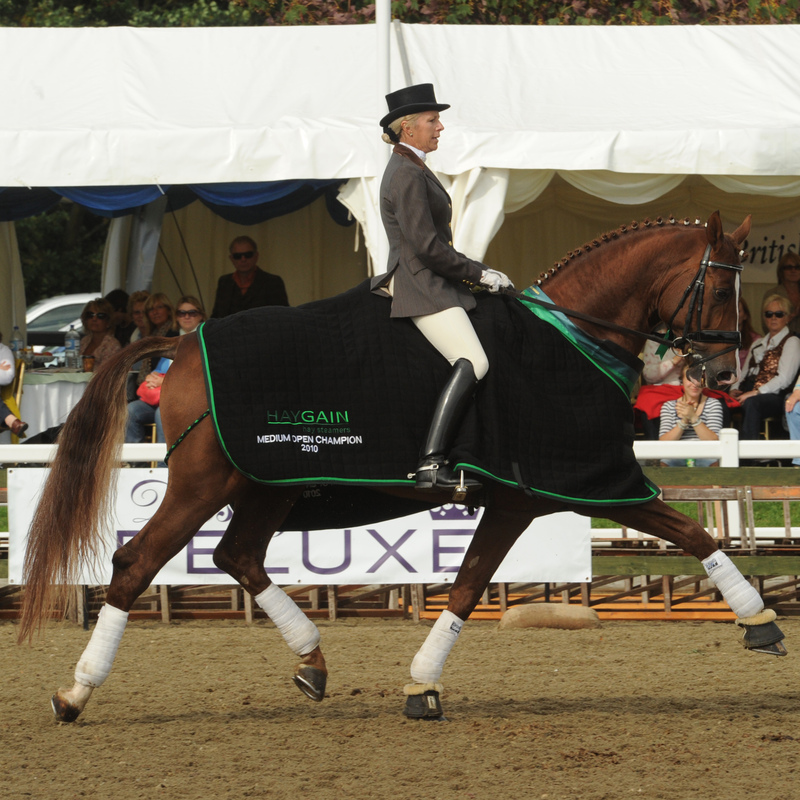 Advanced riders will ride the horse in front of the clients and show the horse off to its best ability. Then we will offer a free lesson to the client to help them gel with the horse. The client will then be able to see the horse in the stable untacked etc. and talk to the rider. We also receive clients from all over the world who come to view our horses, and as part of the service we will pick them up from the airports. Local accommodation is arranged for them. Clients like coming to us as they are able to view a wide selection of world class horses with impeccable breeding over a couple of days and they rarely go home empty handed. 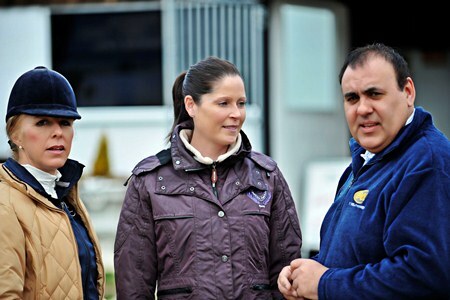 Oldencraig Equestrian Centre has a worldwide reputation due to the hard work and dedication of Ian Winfield and Vicki Thompson Winfield (Olympic team rider and trainer). Oldencraig Equestrian Centre is always happy to provide the buyer free training and livery to make the sale of your horse happen, none of which is chargeable to the owner. Once the sale has been confirmed, you the owner will be given the name and telephone number of the purchaser so that you are able to contact them. You are welcome to be here when potential clients come to view your horse as you will be told in advance when appointments are made for viewings. And all the time that your horse is here you are more than welcome to come and ride and use all our wonderful facilities. £245.00 per week including VAT, this includes your horse being schooled 6 days a week by one of our advanced riders and you are welcome to come and watch your horse being schooled. Shoeing and vet fees are not covered in this price. £250.00 to advertise your horse in all the national and local magazines plus the websites mentioned previously. This includes photos taken by our resident renowned professional photographer. When the horse is sold Oldencraig Equestrian Centre take a 10% commission so we will always try for the best price we can. Here we have outlined what we can do to help you sell your horse and make it as painless a process as possible for you.